To make meaningful progress in their digital transformation, corporate leaders need more then agile approaches. Marketers and product managers are getting very good at the elaboration of enticing and optimal customer journeys. Their organizations use various agile methodologies in the hope of speeding things up and yet most of them struggle in delivering these journeys on time and within budget. Enterprise and business architecture can unravel and prioritize customer journey initiatives early on by identifying and focusing foremost on the problematic and enabling capabilities of their organization using a “Personal Loan” customer journey map example. The recent upsurge of new digital technologies has created empowered customers, forcing companies to adapt and focus on their customer experiences. Bond – the customer identifies with the brand of its selected product to eventually purchase again. Key elements need to be considered when planning the customer journey within an organisation. First, automation, using artificial intelligence and machine learning among others, can insure that fastidious manual processes are simplified and automated as much as possible. Second, proactive personalization must be advantaged, where services are designed in such a way that they seem very specific to each persona or customer segment targeted by the organization. Third, contextual interaction must also be considered, where the organization can switch from online to physical and back while interacting with its clients. Finally, the use of practical innovations must be examined while optimizing a customer journey, where creating and experimenting with new spheres of value that sometimes did not previously exist. To ensure the delivery of strategic goals and objectives, a customer-experience measurement system needs to be put in place, where customer journeys are at the base with their enabling current and new capabilities. As well, the preference for a collaborative approach allows to engage key internal stakeholders and bring in a diverse assortment of measurable capabilities throughout the planning process. Measuring current and new customer-centric enabling capabilities, as shown in Figure 1 below, according to their priority, performance and business complexity for example will allow to build strategic initiatives that focus foremost on the capabilities that will provide the most value to both the customer and the organization. 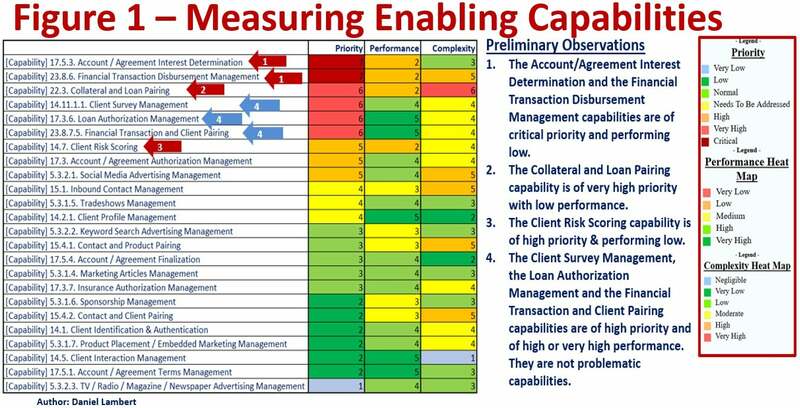 For example, after measuring the 24 enabling capabilities of the Obtain Personal Loan supporting the Loan Service Customer Journey map as per Figure 1 above, it’s easier to conclude that the organization should focus its strategic initiative(s) toward enhancing the 4 problematic enabling capabilities (4 red arrows in Figure 1). It’s only at this stage that an organization should examine the current and future software applications that are or could support the problematic enabling capabilities and the databases used by these applications to build various scenario roadmaps. Most chief digital officer and their corresponding Scrum teams within an organization a) design user interfaces, b) develop software for apps, websites, and automated journey steps, c) analyze and measure customer interactions data, d) oversee the back-end support of the organization’s sales and customer services operations, and e) provide customer with marketing insight to ensure that branding is embedded throughout the customer journey, without any architecture at the planning stage. 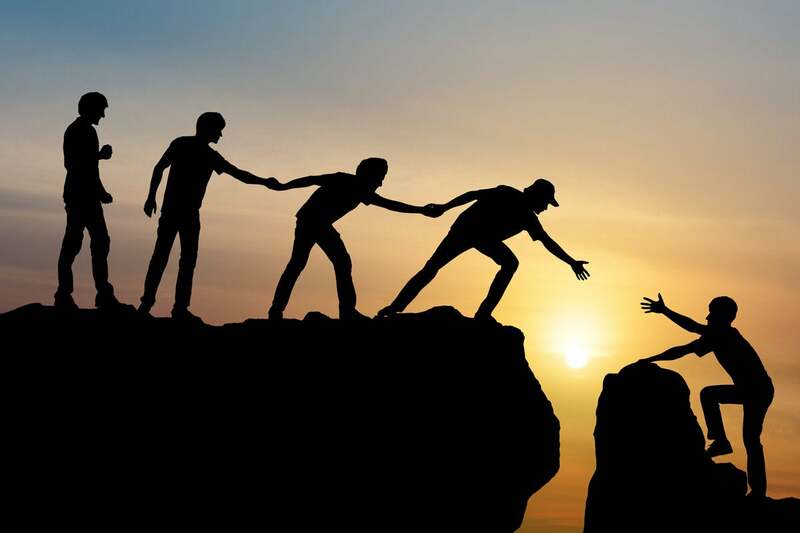 As I’ve written in an article entitled “Digital transformation using enterprise and business architecture,” “90% of corporate leaders view digital as a top priority,” and yet “83% of leaders struggle to make meaningful progress on digital transformation.” I strongly believe that if agile teams were to start incorporating architecture at the planning stage, the number of leaders struggling to make any meaningful progress in their digital transformation would be much lower. Defining a detailed and very useful user story, as described in Figure 2 above, based on an architected customer journey would accelerate greatly its delivery. Most of the words used in this user story are made up of detailed elements defined and structured within the business and enterprise architecture of the company, including capabilities, stakeholders, value streams, information concepts, and business processes. 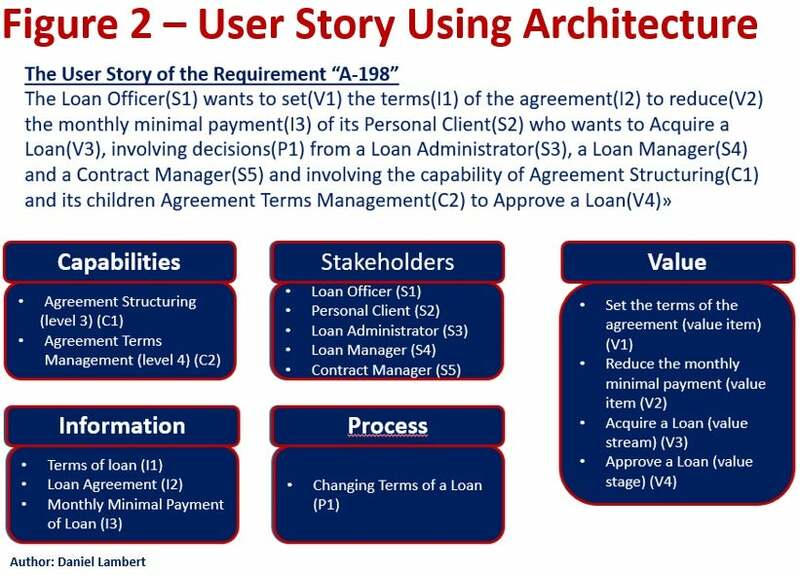 Gathering the information to complete this user story using a business and architecture model will be completed at a quicker pace and at a lower risk of failure. Furthermore, building relevant requirements, epics and users stories using the organization’s business and enterprise architecture will allow business analysts to waste less of their time and the business stakeholders’ time from which they need to extract knowledge from. Enterprises use more and more various agile methodologies in the hope of speeding things up with the pursuit of optimal customer journeys. Yet most of them struggle in delivering these journeys on time and within budget. To make meaningful progress in their digital transformation, corporate leaders need more then agile pproaches. Agile teams need to start incorporating architecture early on at the planning stage of their initiatives. Focused business and enterprise architecture allow corporations to prioritize better at the planning level, cut time lost building relevant epics and user stories, and finally lower significantly the number of sprints necessary to complete their projects. Daniel Lambert is a marketing and finance strategist assisting expending companies in their growth, their business architecture and ultimately their digital transformation. He has worked in the past with organizations in a broad array of industries: financial services, insurance companies, telecom, utilities, pharmaceuticals, transportation, computer software, healthcare and the public-sector.